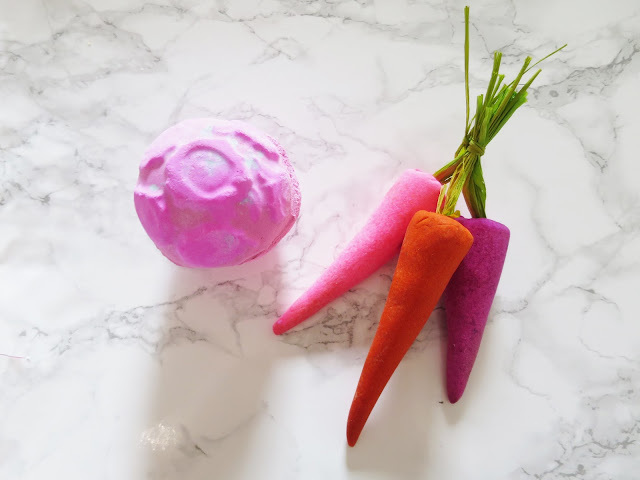 If you read my blog often or you know me quite well you'll know I am obsessed with Lush when a new collection comes out I have to have at least SOME of it, but most of the time it ends up being it all. The lovely PR team at Lush sent me out some bits from their Spring collection which was such a fabulous surprise as I was going to place my own order. 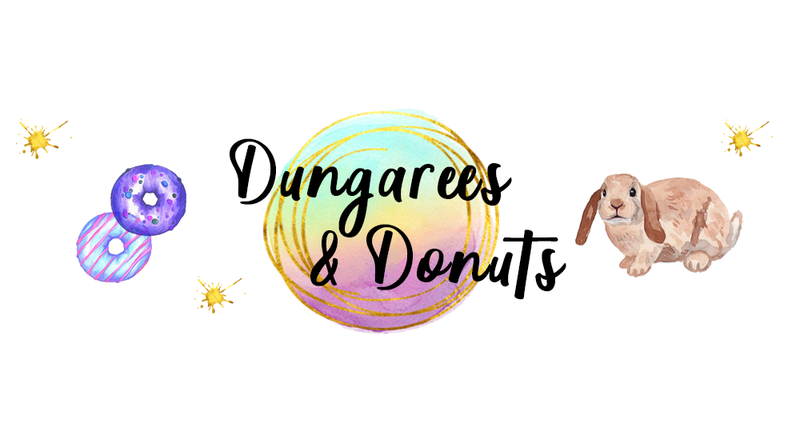 A few of the products I bought when I was in Lush Oxford street but they fit the theme so I thought I'd show them in here too, I previously did a Lush haul if you fancy a read. A little side note before you read the post, YES I AM IN LOVE WITH THE CARROTS, they are too cute ok? I was a little confused when I dug this out of the box as I didn't know what it was at first, I was pleasantly surprised to find it out is a bubble bar, with the cutest packaging I've ever seen. The Flowing Tea bubble bar is reusable for many baths and having string on the product makes it super easy to run under the tap to create a mystical bath of bubbles. Inside the bubble bar there is some gorgeous blue cornflowers, turning your bath into one steamy hot cup of tea. If you aren't a fan of floral tea like scents I'd this one isn't really for you. Flowering Tea comes in at £4.95 which for a reusable bubble bar is pretty decent. I've had this bath bomb a few times already as I picked some up when I visited Lush Oxford Street as they look super adorable and smell fabulous. I wasn't a huge fan of the little petals that fell into the bath as I felt it made it look a bit dirty and ruined the essence of the bath bomb but other than that I love the way it reacted and the colours it produced and how beautiful the scent was as it was released slowly into the bath. This bath bomb costs £3.95 which is one of their more affordable products. Lets start by saying, HOW CUTE IS THIS? I am in love with how sweet this little ladybird is and I kind of don't want to crumble him up, *sad face* you can save him for a few baths by breaking him up before running the bar under the tap and that way he lasts even longer. The smell of this bubble bar isn't something I am used to myself, but it's unique and enjoy the scent more than I first thought I would. The Ladybird bubble bar is £3.95 which is a bargain for the amount of baths you can get out of it. On to my favourite of all of the products, and one of my all time faves it is the Bunch Of Carrots. I am pretty sure in previous years all of the carrots have been all orange but this year Lush have gone with a different theme making them pink, orange and purple which in my opinion is a super pretty colour combination. 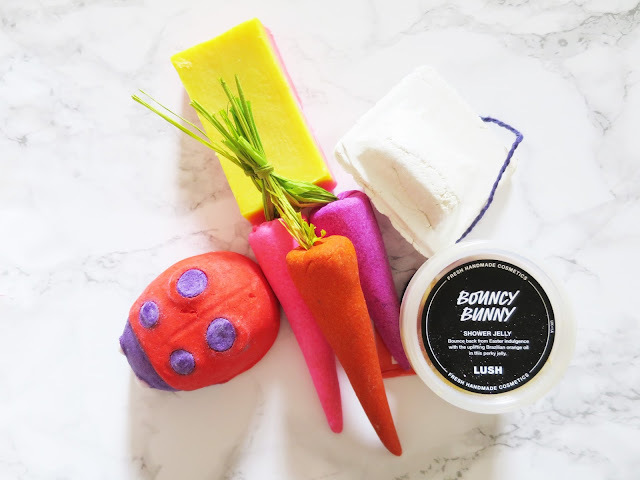 You can use the carrots on their own for their individual smells or all three together for one beautiful smell concoction With the beautiful scents of lemon, grapefruit and buchu. This bubble bar does cost a little more at £6.25 but the product is a lot longer lasting and can be used as three separate products. I hadn't heard anything about this product until it arrived on my doorstep, when I opened the pot the bunny literally jumped out onto my side and although it was a bit messy it when I saw it laid out I fell in love, my room was instantly hit with a beautiful orange scent which made my whole room smell amazing, freeze this for an amazing shower soap and use as it is for a bubble fest and create some beautiful orange memories. The Bouncy Bunny costs £3.95 for the pot it is in, you can reuse this product and if you make it into a soap it can be used many times. Last but not least the beautiful somewhere over the rainbow soap, I've seen so many pictures of this floating around Instagram and everytime I think wow. Dependant on where the soap is cut depends what colours you get of the soap the part I received was yellow and pink which I am happy with as pink is always my go to colour. This soap leaves your skin feeling soft and refreshed after every single use which is a bonus. 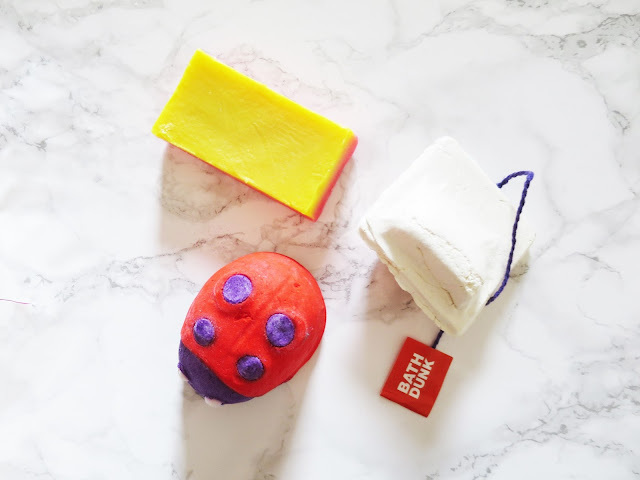 The scent of this soap I find it to be quite a fruity and fun scent which is super hard to explain but the scent is not overpowering and you'll love it as your new bath companion.